in a fight for their lives. Planning for winter soon to be there. While visions of honeycomb danced in his head. To see varroa mites, dead by the scores. The mite drop he’d monitor so as not to be rash. That he went through the season with nary a care. A brood break for each hive as they made a new queen. Russian bees are known for their hygienic ways. He missed the signs; he let the mites stay. From the top of the boxes! Down through the frames! When bees become cold they can shiver and die. With frames full of honey, and lots of mites too. A string of warms days, the bees were about. For oxalic acid to quiet the storm. Would the colonies make it? He often would wonder. Until finally a solution just had to be found. In D.C. the cherry blossoms actually formed. But solutions appear for those in the know. as the fumes, they encircle the hive like a tether. 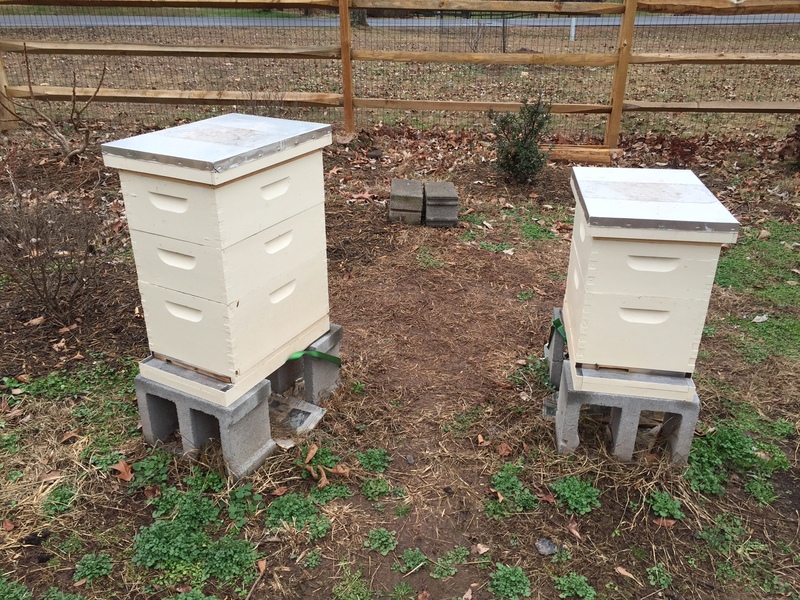 Some MAQS were purchased for each little hive. Formic acid would work, it was all about chemistry. The beekeeper was ready, having laid out his plans. After removing the covers, his faced showed a smirk. The stores were good, there could be no feeding. The Night Before Christmas appeared anonymously as the poem A Visit from St. Nicholas on December 23, 1823 in the New York Sentinel. The poem, later attributed to Clement Clarke Moore, popularized a number of traditions that at the time were not universally accepted, from the names of the reindeer to the general appearance of St. Nick. 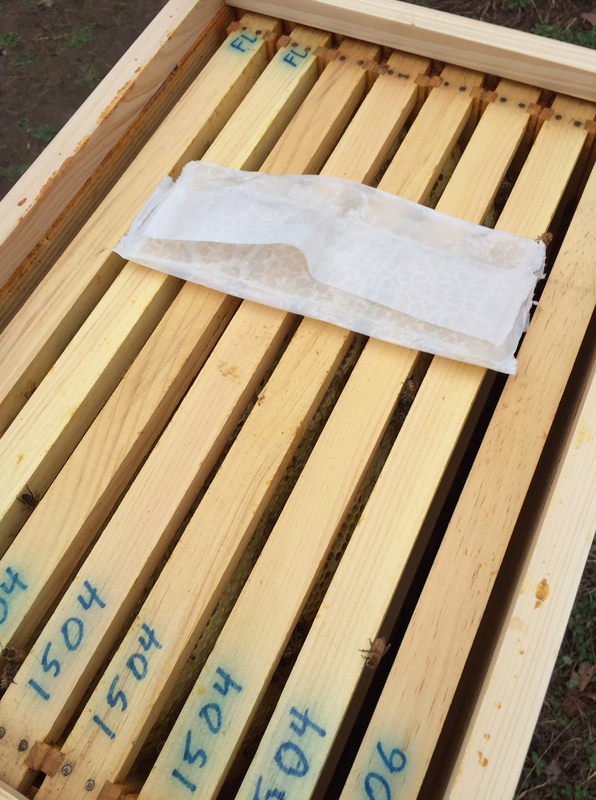 Over the last month, I’ve counted over 520 mites from our two Langstroth hives. As I was thinking about how best to present the story, this poem came to mind and I just sort of ran with it. Hope you enjoyed reading it as much as I did in writing it. A wonderful Christmas poem for a beekeeper, brings a tear to the eye! Merry Christmas to you and your bees (but not the mites). Thank you Emily, to you as well. What a creative Christmas poem! I thought you’d do just a few stanzas, but you kept it going right to the end. Bravo! Merry Christmas and best wishes for beekeeper and bees in the New Year! I was definitely on a roll. Best wishes to your entire family of people and bees. Huzzah! Another beekeeping poetaster! Oh, well done! Bravissimo! And may the treatment be successful, bringing death to the mites. Indeed! Thank you and enjoy the season.